Sometimes ergonomics is about sound too. You don’t want to work in an environment that is too loud. I love mechanical keyboards, but if you have a noisy one at work, you may have upset co-workers who have to endure your clicks and clacks all day long. Here in Hawaii we even have sound pollution laws. With the same click feel and 90% noise reduction* compared to classic mice, M220 silent offers a quiet experience for yourself and those around you. It has a long-lasting 18-month battery life with auto-sleep, a powerful 10-meter wireless range between the mouse and the receiver, and the added security of 128-bit encryption. Plus, its small size is perfect to toss in a bag and go. Just plug the tiny Logitech wireless USB mouse receiver into your computer and go. M220 computer wireless mouse works with Windows, Mac, chrome OS or Linux. And thanks to Logitech advanced Optical tracking, you’ll enjoy is smooth moves and precise cursor control on almost any surface. Who is this for? If you are gaming at work, the cadence of your mouse clicks will give you away…this mouse will keep your clicks private. If you are bothered by the sound of a mouse click. Or if someone is bothered by the sound of your mouse clicks. Keep in mind if you are really into a more ergonomic shape, then this mouse is not for you. 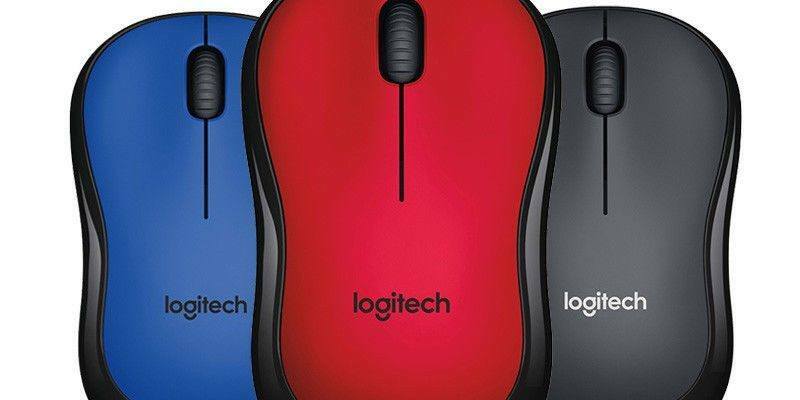 Check on the latest price of a Logitech M220 Silent Mouse.